This is the harder material grade to provide an stronger fit but requires heating prior to fitting. 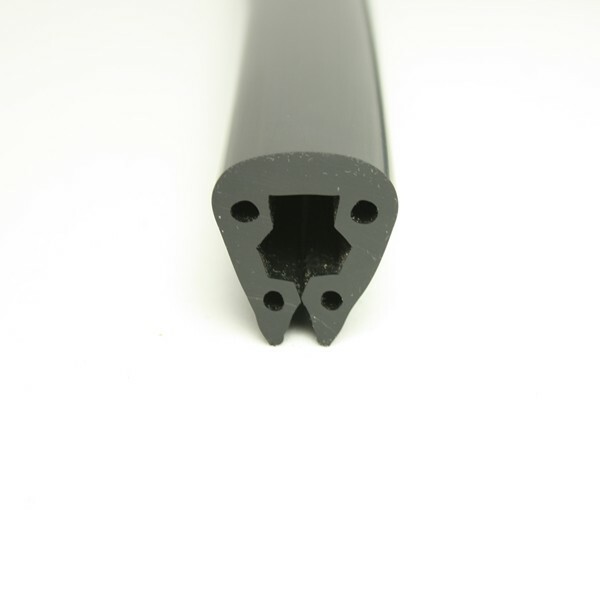 This profile is also available in as PVC 4/5 which is a softer grade of material that is easier to fit and mimics the feel of rubber. Our Technical profile identification team (Charlotte) has studied the archive photos of Wilson Flyers on Google and she believs that the standard boat is fitted with PVC 4/2. We would recommend your evaluating a sample prior to ordering to confirm fitting and will send to you in tomorrow's post. Other samples can be requested online or by contacting us directly. This profile will need to be warmed slightly to get an even bend around the transom. 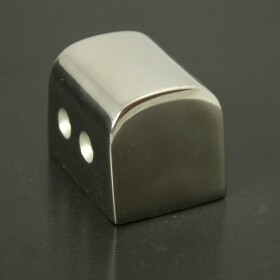 The 9mm is a maximum thickness therefore 6mm will not present be an issue. What is the difference between the PVC 4/2 and the PVC 4/5?
" 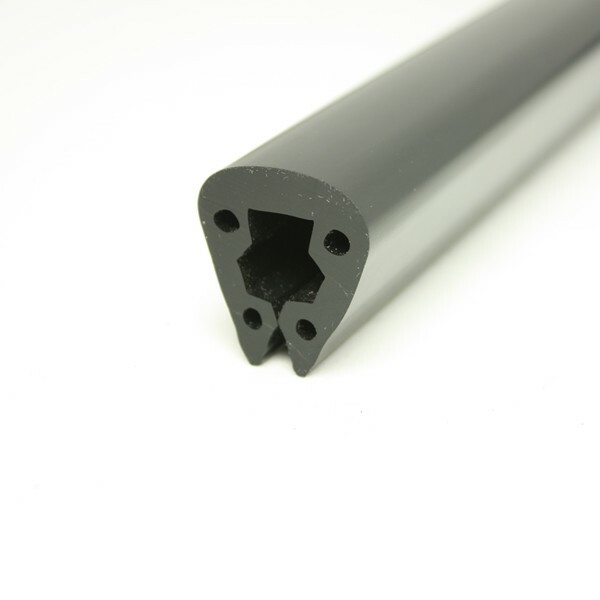 / 2 " after a profile number reflects a harder grade of PVC that is used during manufacture.
" / 5 " instead details a softer grade of PVC. 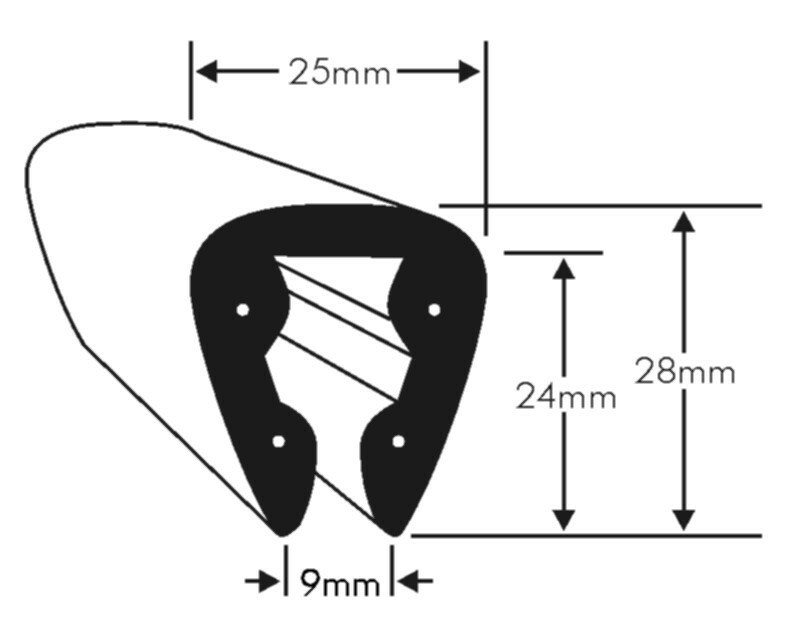 The softer grade PVC is easier to fit whereas the harder grade PVC will require heating before fitting using for instance a hot air gun or barrel of hot water. Boat builders tend to prefer the harder grade but it comes down to personal preference. We would be happy to send you samples of each for your evaluation should you wish.